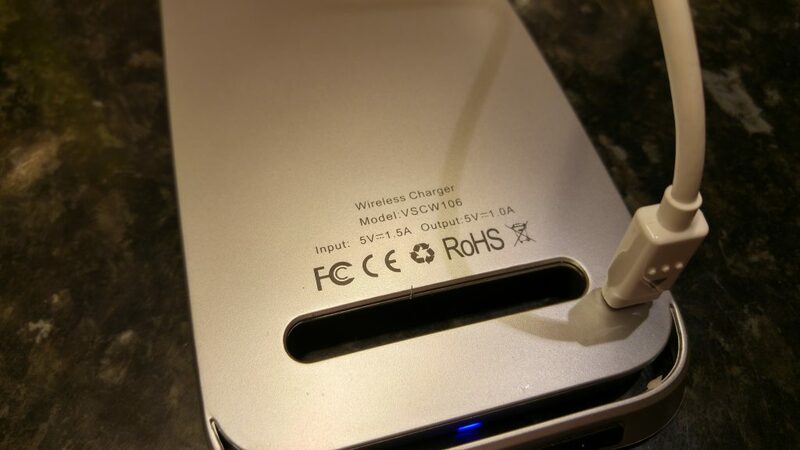 I love the idea of wireless charging. 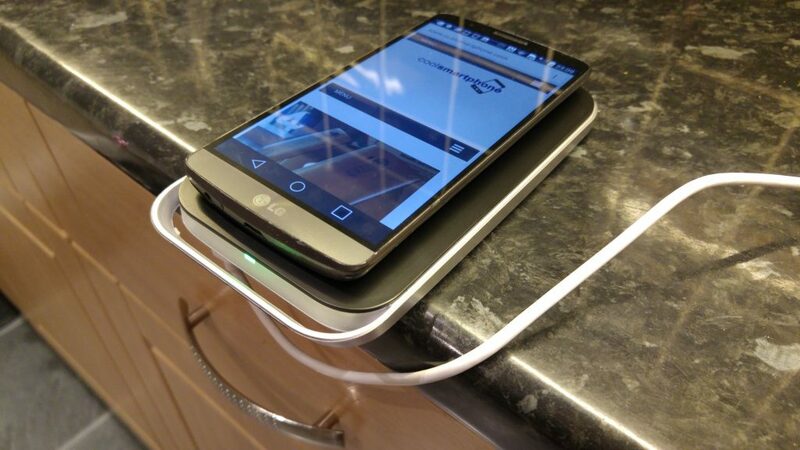 Part of the reason that I’ve had an LG G3 for so long is because I’m now so used to dropping it on a charging plate or into a holder in the car and really not worrying about wires. This, then, for just £17.90, is the Vinsic wireless charger. The Amazon listing doesn’t mention the actual company that makes this, and I’ll be honest and say that I’ve not heard of them before, but it’s a sturdy enough item and clicks together well. 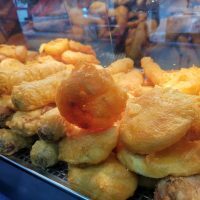 It comes in two parts. You slot the smaller wedge-shaped piece through the lower section or, if you don’t want to use it as a stand, you can remove it entirely and use this as a charging mat instead. Good idea that, but you will need to hang the lower part off the edge of a table or desk because of the cable at the back. Plug the supplied microUSB charging plug into the bottom and it’ll show a blue LED. 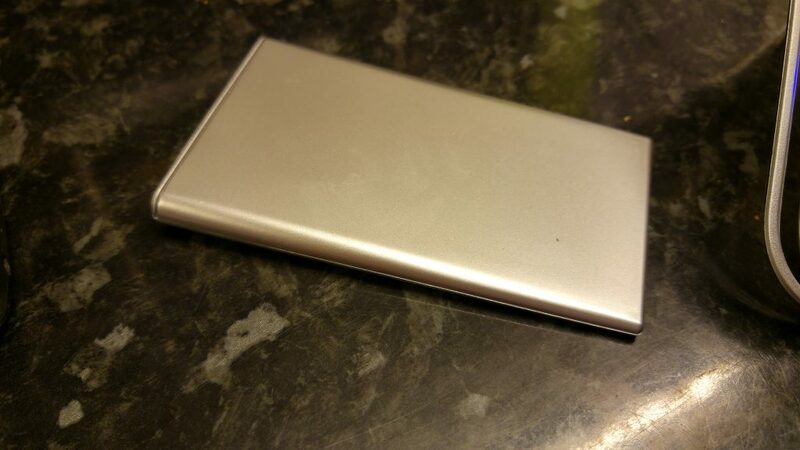 Once you place a Qi-compatible phone onto this it’ll simply start charging and the LED turns green. 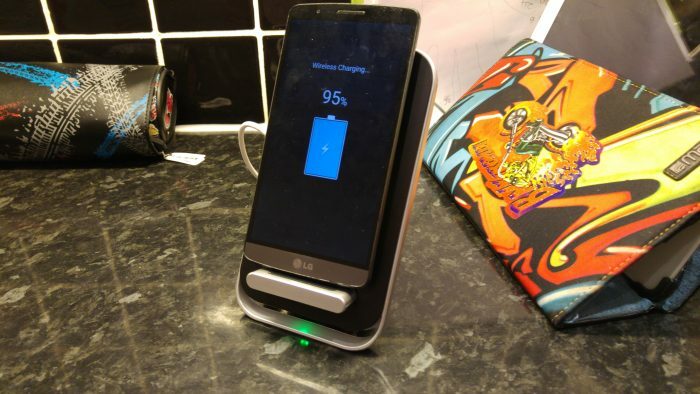 Sadly my new LG G4 (inexplicably) doesn’t have wireless charging, but handsets like the Samsung Galaxy S6, S6 Edge, Nexus 6 and some smartwatches like the Moto 360 have this function. Plop it on and it’ll speedily charge your device without issues. 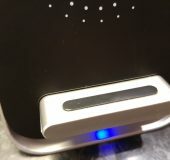 The back of the device has a fairly wide charge point, so you don’t need to place it precisely onto the base – provided it’s on there, that’s decent enough. 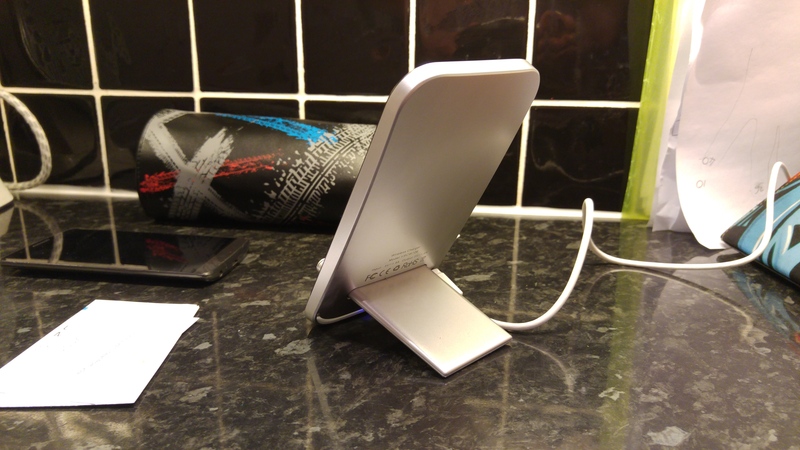 The LED will tell you if it’s positioned correctly though, and the charger will ensure that power is regulated so that the base doesn’t get hot. All in all, for just £17.90 it’s really rather good. 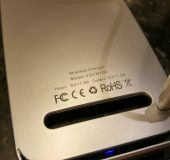 I love the idea of wireless charging. 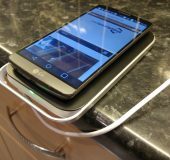 Part of the reason that I've had an LG G3 for so long is because I'm now so used to dropping it on a charging plate or into a holder in the car and really not worrying about wires. 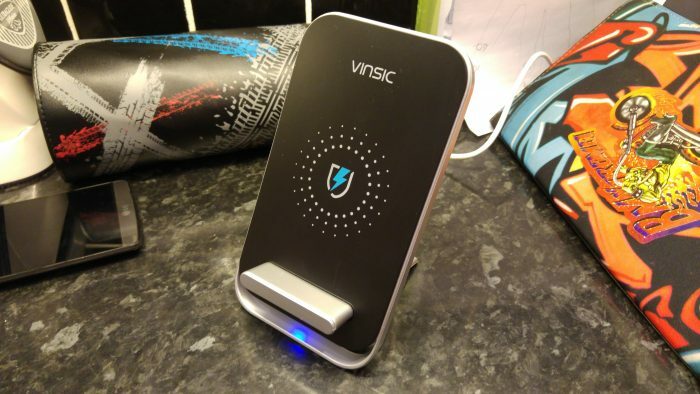 This, then, for just £17.90, is the Vinsic wireless charger. The Amazon listing doesn't mention the actual company that makes this, and I'll be honest and say that I've not heard of them before, but it's a sturdy enough item and clicks together well. It comes in two parts. 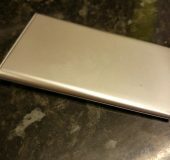 You slot the smaller wedge-shaped piece through the lower section or, if you don't want to use it as a stand, you can remove it entirely and use this as a charging mat instead. Good idea that, but you will need to hang the lower part off the edge of a table or desk because of the cable at the back. Plug the supplied microUSB charging plug into the bottom and it'll show a blue LED. Once you place a Qi-compatible phone onto this it'll simply start charging and the LED turns green. Sadly my new LG G4 (inexplicably) doesn't have wireless charging, but handsets like the Samsung Galaxy S6, S6 Edge, Nexus 6 and some smartwatches like the Moto 360 have this function. Plop it on and it'll speedily charge your device without issues. 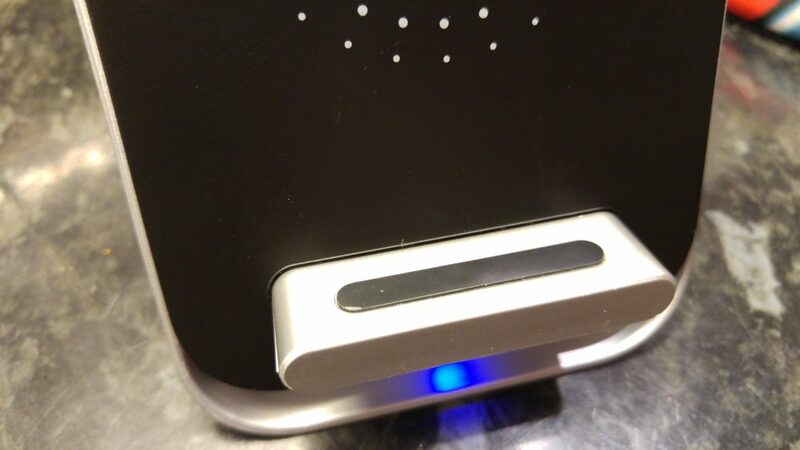 The back of the device has a fairly wide charge point, so you don't need to place it precisely onto the base - provided it's on there, that's decent enough. The LED will tell you if it's positioned correctly though, and the charger will ensure that power is regulated so that the base doesn't get hot. All in all, for just £17.90 it's really rather good. Simple and easy to setup. Nice quality and does exactly what it says it does. Two LG Flagships in 2016?